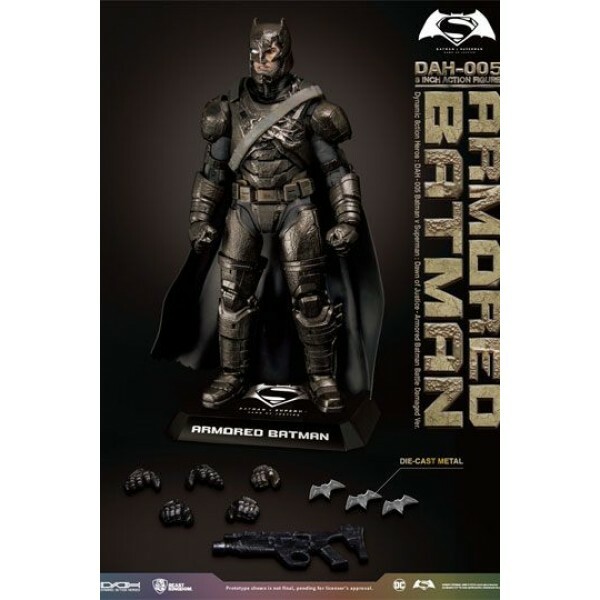 Beast Kingdom introduces its brand new Dynamic 8ction Heroes (DAH) Proportional figure series, comprised of a 1/9th scale action figure with realistic appearance and exquisite professional painting to reproduce the various details of the movie character. A large assortment of accessories is also included to provide various display options for the collector. Beast Kingdom once again presents the DC Superhero figure masterpiece DAH-005 Batman v. Superman: Dawn of Justice - Armored Batman battle-damaged version. 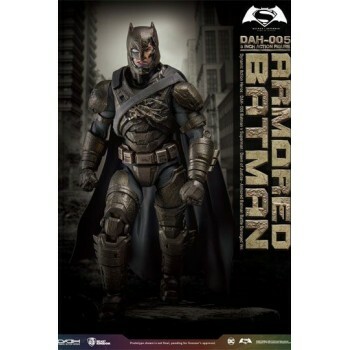 In addition to continuing the DAH series, we have also recreated Batman's condition after his battle with Superman in this 1/9th scale action figure, which contains over 30 movable joints that allow you to create any classic poses. The DAH series figures are made using official 3D model data to recreate the actors' facial features and body proportions. The clothing accessories are also meticulously recreated to reproduce the heroes in the movies. Comes with exclusive weapons - Grapple Gun, kryptonite gun, and Batarangs - so you can fully recreate Batman's battle actions in the movie. 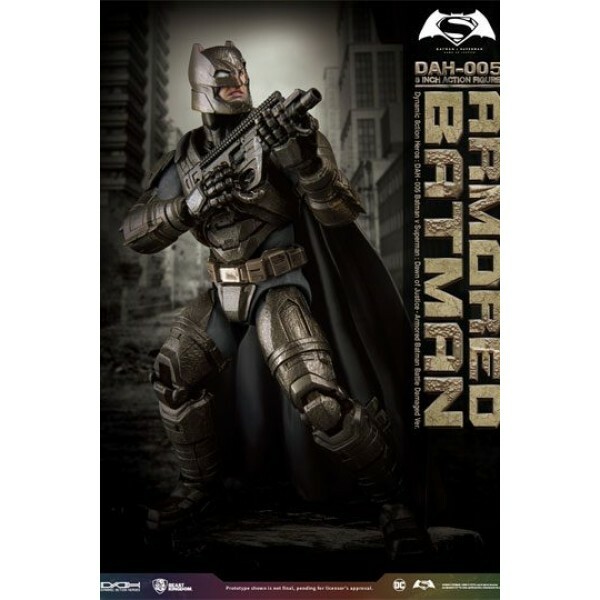 The battle damaged armor makes Batman even more realistic and domineering. This is an exquisite creation by Beast Kingdom that a DC Superhero collector like you cannot miss.